Arcadia Foods - JPMA, Inc. 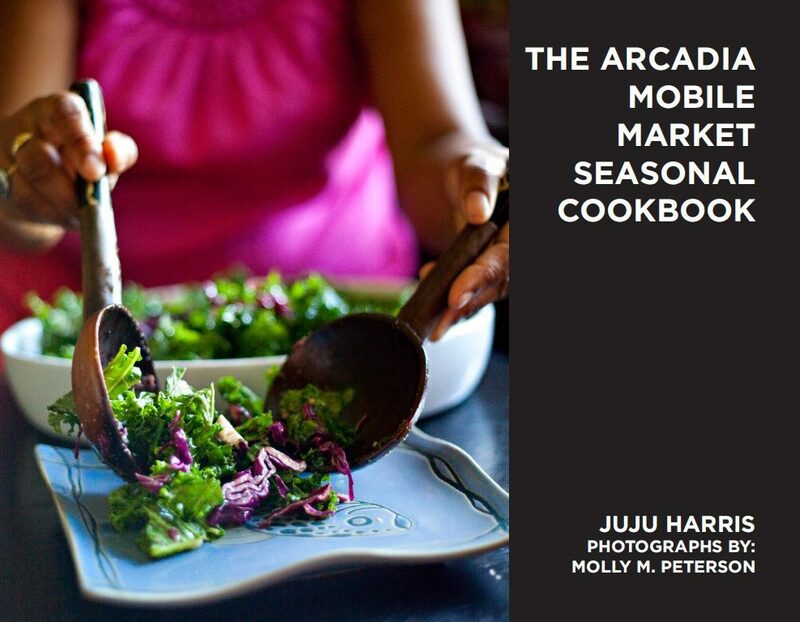 These recipes are excerpts from the incredible Arcadia Mobile Market Seasonal Cookbook by former WIC mother, JuJu Harris. We would like to thank the Arcadia Center for Sustainable Food and JuJu Harris for granting us permission to share these recipes with you. Arcadia is a nonprofit organization dedicated to creating a more equitable and sustainable local food system in the Washington, DC area. Based on the historic grounds of Woodlawn Estate in Alexandria, Virginia, thanks to a landmark partnership with the National Trust for Historic Preservation, Arcadia manages four distinct program areas that address a specific need in the community, while collectively engaging consumers, farmers, schools, and institutions. Fishing for a fast, nutritious meal for your family? The American Heart Association recommends eating fish at least twice a week because it’s a good source of protein and low in saturated fat. Eggplants are packed with vitamins, low in calories and potent energy sources. Once you realize how beneficial eggplants are to your family’s health, you will want to make them a steady addition to your diet. According to the “World’s Healthiest”, Swiss chard is one of the most nutritious vegetables around and ranks second only to spinach in total nutrient-richness. This yummy bird is easy to cook and is packed full of protein to help feed your children’s growing muscles. Oatmeal is rich in fiber, which benefits your child’s health by reducing risk of constipation and their lifelong risk of heart disease.